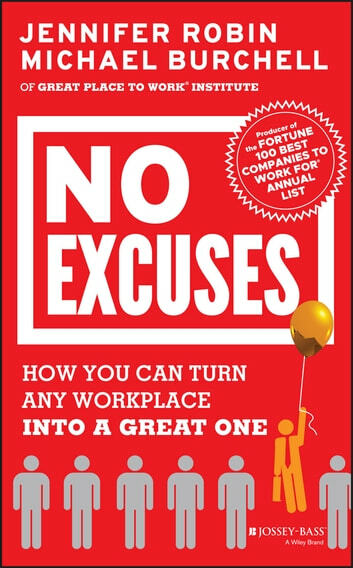 In this follow-up guide to The Great Workplace, experts from Great Place to Work® Institute, Inc. reveal the most common excuses managers use for why they can't create a great workplace. Authors Jennifer Robin and Michael Burchell poke holes in every single excuse. Whether the reasons involve the organization's leadership, employees, environment, or any other factor, the authors explain that if managers lead people properly, they can create a great workplace. The authors explore how managers can interrupt their own negative thought patterns and instead create lasting change, and they describe how great workplaces have surmounted very real difficulties with aplomb. Creating a place where people want to work and want to succeed is the primary key to success for every manager. 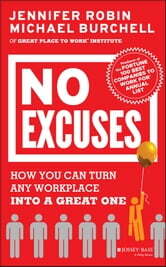 No Excuses shows that managers in any organization can transform their workplace—if they'll only get out of their own way first.